Introduction to Flat Panel Displays describes the fundamental sciences behind each display technology: LCD, PDP, LED, OLED and FED including carbon nanotubes. 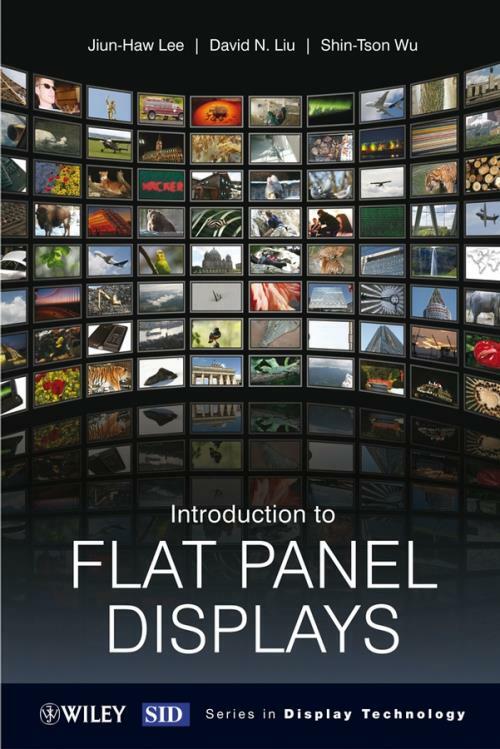 It contains a comparative analysis of the different display technologies in which detailed overviews of each technology are linked together so as to provide a comprehensive reference for students and display engineers, alike. Solved problems as well as homework problems are provided in each chapter to help consolidate students reading, as well as solutions hosted on an accompanying website. 1.2. Emissive and nonemissive displays. 1.4. Applications of flat panel displays. 2. Color science and engineering. 2.4. Production and reproduction of colors. 3.2. Basic concepts of crystallized semiconductor materials. 3.5. Passive matrix and active matrix driving schemes. 4.2. Transmissive thin–film transistor liquid crystal displays. 4.10. Optically compensated bend cell. 4.11. Transflective liquid crystal displays. 5.2. Physics of gas discharge. 5.6. Assembly and aging techniques. 7.2. Energy states in organic materials. 7.4. Carrier injection, transport and recombination. 7.5. Structure, fabrication and characterization. 7.6. Improvement of internal quantum efficiency. 7.7. Improvement of extraction efficiency. 8.2. Physics of field emission. 8.3. FED structure and display mechanism. 8.6. Field emission array plate techniques. 8.8. Assembly and aging techniques.